Ashutosh Kumar Mishra, a 32-year-old IT professional, stays in Mumbai with wife Smriti, 31, a former entrepreneur. Just like other young couples, the newlyweds are planning their financial future, with the focus on immediate and long-term goals. These include building a retirement corpus, a fund for their child's higher education, buying a car and going on a dream vacation next year as both of them love to travel. They have already bought a house and created a contingency fund, some really good money moves considering their age (see table Assets and Liabilities). But their life insurance cover is not adequate and solely depending on employer-provided health insurance is not a good choice either. Ashutosh has a take-home annual salary of `9.84 lakh while their annual expenses, including insurance premiums, amount to `8.84 lakh. Here is what they need to do to fulfil their goals (see tables Cash Flow Management and Asset Allocation). Contingency fund: Ashutosh should keep a contingency fund to cover the family's expenses for six months. His savings account balance of `1.50 lakh and fixed deposit of `2 lakh will be utilised to build this corpus. He should also increase the allocation when his income increases to meet the six-month target. The money should be earmarked for contingency alone and must be invested in an ultra-short-term fund to ensure liquidity (see table Contingency and Risk Planning). Life insurance: The IT professional has already purchased a traditional plan and pays an annual premium of `24,000. After considering present surrender value, future premiums payable and expected maturity value based on current bonus rates, the internal rate of return of a traditional plan from the Life Insurance Corporation of India is likely to beat the inflation. Hence, he should continue the plan as debt portfolio. Ashutosh is not adequately covered, though, and requires a total life cover of `2 crore. He should buy an online term plan for 30 years, which will cost him an additional `24,000 a year. While buying a new insurance, one must disclose all the facts accurately, including health history, habits (if any) and existing insurance plans in the proposal form. Health and disability insurance: The couple has a health cover worth `12 lakh provided by the company where Ashutosh works. However, he should buy an additional policy as the existing one will not be valid when he leaves the job or retires. The benefits may get reduced from year to year, and it is always difficult to get a fresh cover at a later age if one is diagnosed with some medical conditions. The new policy may not cover existing medical conditions, or those may be covered after a long waiting period. Ashutosh should go for a family floater plan (for himself and his wife) for `10 lakh sum assured, which will cost around `14,000 a year. In case he leaves the job, he should purchase an individual policy with benefits similar to the employer-provided health insurance. In addition, he should buy a critical illness cover worth `25 lakh and an accidental disability insurance for himself worth `50 lakh, which will cost around `16,000 per annum. The premiums paid up to `25,000 for self and family, and an additional `30,000 for parents are eligible for deduction from his total income under section 80D of the Income Tax Act. If parents or in-laws are dependent, one should buy an adequate health insurance cover for them as well. Loan liability: Ashutosh is paying high EMIs and a high rate of interest on his home loan, leaving him very little surplus for other financial goals. He should switch the balance of `11 lakh to another lender, preferably a bank, and also increase the tenure to 20 years to reduce the monthly payable amount. Assuming that the rate of interest stands at 8.5 per cent, his EMI will be `9,550. Retirement: It is a crucial goal that no one should ignore. Getting serious about retirement in the early thirties has its advantage, though, as the couple will have enough time to amass the requisite amount. Ashutosh is planning to retire at 60, and he will require around `7 crore to take care of the expenses till both spouses reach the age of 80. The corpus has been fixed assuming that household expenses will be `40,000 a month in present term and taking into account 7 per cent inflation. His current investments are aligned to match his retirement goals. Besides, he should increase his monthly investment from `13,000 to `21,000 and put the money in a diversified equity mutual fund scheme through a systematic investment plan or SIP. He should also invest in ELSS schemes for tax planning (see table Retirement Planning). Child's education: The Mishras are planning to have their first child a year later and want to build a fund for the baby's higher education. For a graduation fund of `15 lakh in today's value (future value will be `50 lakh), required when the child will be 18, Ashutosh will have to start a monthly SIP of `7,000 in an equity mutual fund. As of now, there is no surplus available to fund this goal, but he can start investing as soon as his income goes up. Car purchase: Ashutosh wants to buy a car within a year, which will cost him `8 lakh in current terms. But the goal is not realistic looking at his existing assets and surplus. He should buy a less expensive car or go for a pre-owned vehicle. Opting for a car loan is not advisable as the cost is high and salaried people do not get any tax benefit out of it. As there is no surplus available to fund this goal, he can start investing for the same when his income increases. 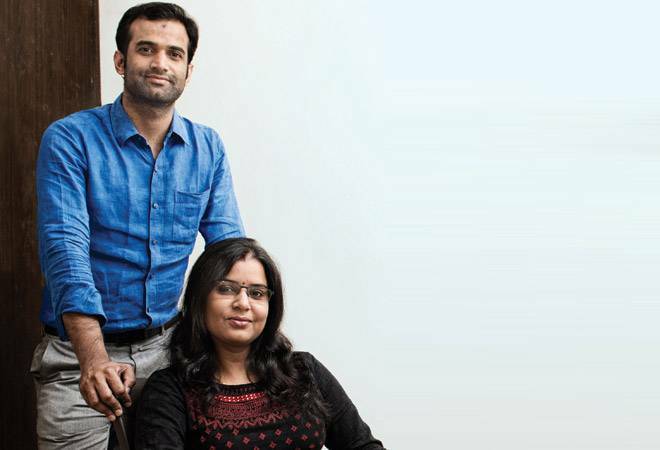 Dream vacation: The couple would like to go on a vacation after a year, which will cost them around `1 lakh. Their savings bank balance is allocated towards this goal.